How do financial markets operate on a daily basis? 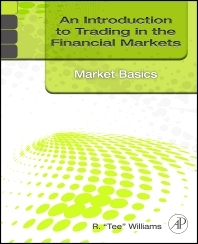 An Introduction to Trading in the Financial Markets: Market Basics is the first of four volumes, and introduces the structures, instruments, business functions, technology, regulations, and issues that commonly found in financial markets. Placing each of these elements into context, Tee Williams describes what people do to make the markets run. His descriptions apply to all financial markets, and he includes country-specific features, stories, historical facts, glossaries, and brief technical explanations that reveal individual variations and nuances. Reinforcing his insights are visual cues that guide readers through the material. While this book won’t turn you into an expert broker, it will explain where brokers fit into front office, middle office, and back office operations. And that knowledge is valuable indeed.